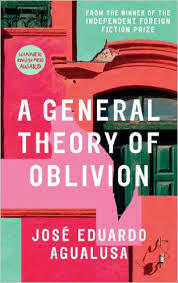 This entry was posted on March 31, 2016 at 6:36 pm and is filed under Jose Eduardo Agualusa, Man Booker International Prize 2016. You can follow any responses to this entry through the RSS 2.0 feed. You can leave a response, or trackback from your own site. I agree with you final assessment here. I wondered if my tolerance level for magical realism of this sort has been exhausted. I enjoyed the book but have been surprised to see it show up on both translated book long lists. Then again both lists are very diverse, style-wise which is, in the end, a good thing for translated literature. Diversity is always good, but, like you, I’m not sure how this particular novel has made it on to both lists when I can easily think of better books which have missed out. Interesting. In light of your summary, I’m wondering if this sounds like a bit of a lost opportunity (at least to some extent) especially given the setting and political context at the time? It’s probably unfair to call it a lost opportunity as this seems to be very much Agualusa’s intention / style but to my mind it has the effect of glossing over the suffering that clearly occurred, while also providing no political / historical context. The idea of contrived coincidences really puts me off; every time I’ve started this book, one which I’ve placed on hold at the library comes in and I’ve set it down again, but now I wonder how eager I’ll be to pick it up. The notion of her living in “solitary confinement” did/does intrigue me though. I guess it just appeals to the introvert in me! Loved your review. Like you, I found the original idea interesting (I’m not clear whether it’s based on something which actually happened) but this writer’s style just doesn’t seem to appeal to me. It all sounds a bit suffocatingly meaningful. Contrivance in the service of making a point is fair enough of course, but too much of it and I wonder why there’s a skin of realism over the top at all and whether it might have been better to go more fantastic as say Jeanette Winterson does sometimes (she chooses settings for resonance as best I can tell, but has no interest in accuracy and because that’s apparent it works rather well). I know exactly what you mean. I’m not sure I would describe it as too ‘meaningful’ however – it actually feels too ‘light’ in places – too in love with the dynamics of the plot to want to spoil it by making a point. Did not like this book. At all. There’s something satisfying when you don’t particularly like a book to find someone who loathes it!